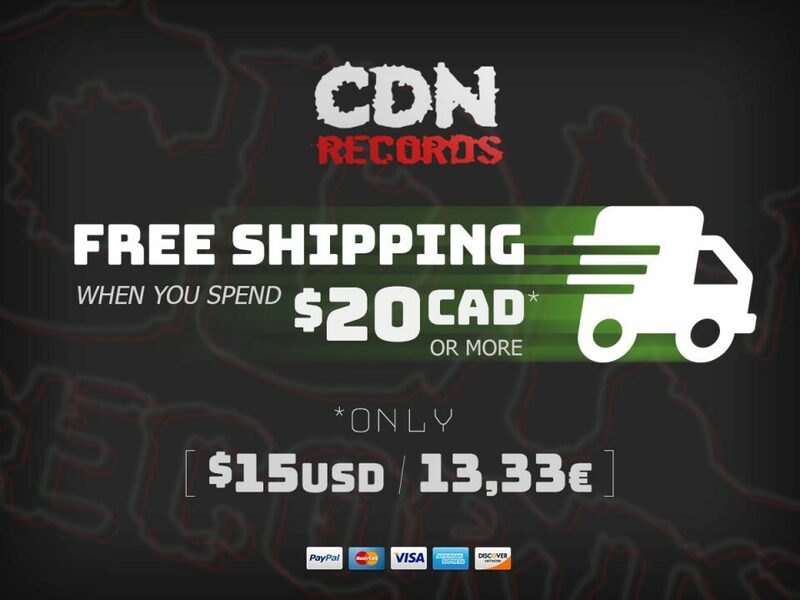 During the month of April, you’ll automatically receive Free Shipping in your cart when you add $20 CAD or more worth of products tagged CD, CD-EP, CD-R, Digi Pak CD or Flags. $20 CAD is only $15 USD or 13,33€ !!! Your cart must only contain qualified items. Next Next post: Get May’s MASSIVE Coupon Code ONE WEEK EARLY!